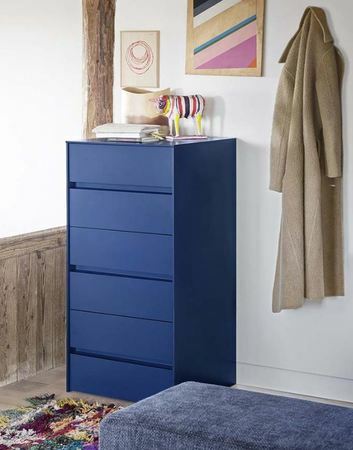 NEW COLOURS AVAILABLE - A stylish addition to any bedroom, the Novamobili Pitagora 6 drawer Tallboy is available in an amazing 29 eco-wood, textured and matt lacquered finishes. The clean geometry and appealing metal profile detail make for a modern design in bedroom furniture. 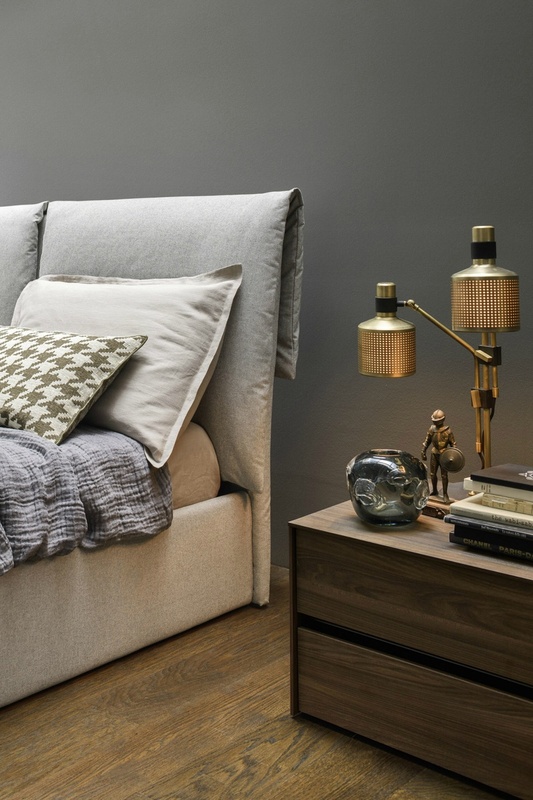 The Pitagora furniture collection come in a wonderful selection of the latest Italian interior colours and wood finishes, a perfect choice to match any bedroom setting. There is also the option to have the metal lacquered profile between the drawers in a different colour to the cabinet for a unique touch. 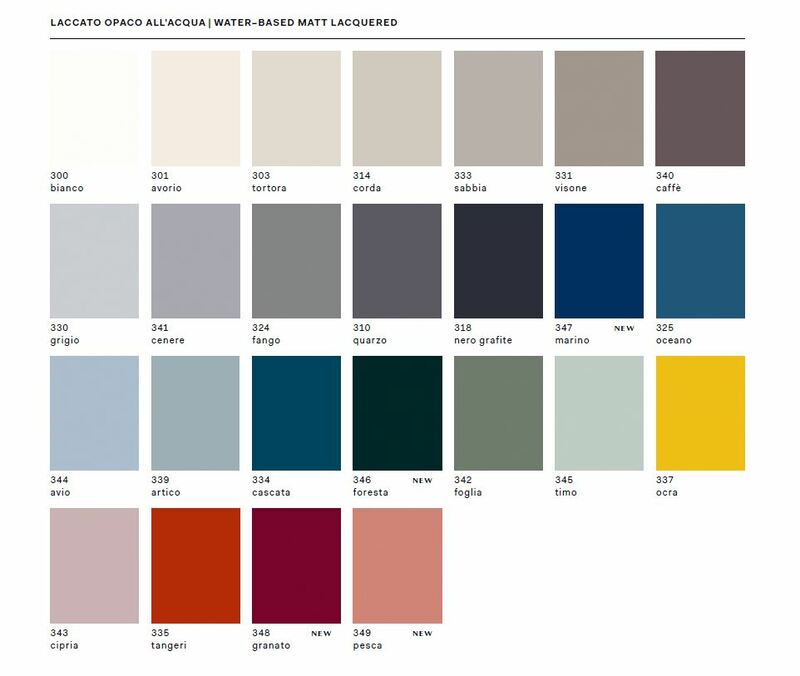 Finishes include various wood grains and tones and a wide range of colours such as dove grey, quartz, mink, airforce blue, tangerine, ochre, leaf green, garnet and blush pink matt lacquers - a shade to suit any sophisticated bedroom! 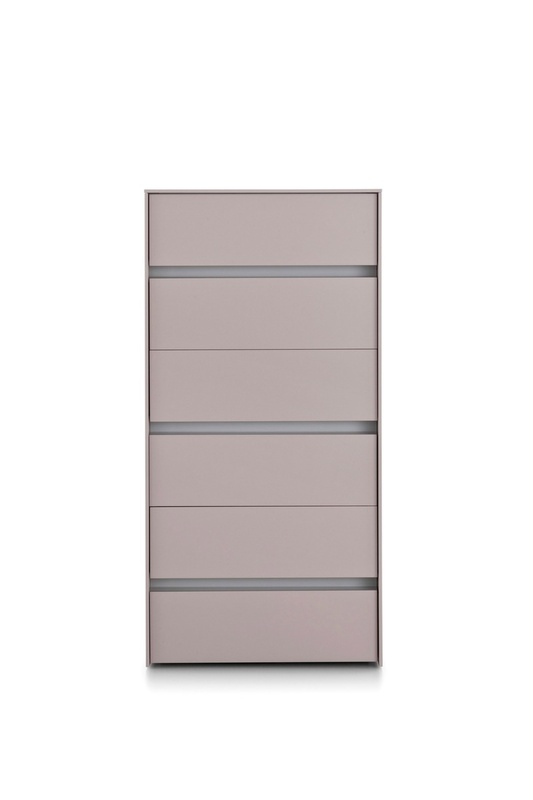 Novamobili’s Pitagora Tallboy has soft closing drawers and you can choose to have the metal profile in bronze, bianco, tortora or sabbia as standard or in any of the 22 matt lacquered colours as an optional extra. On request it is also possible to have the units made with the carcass and the front in different finishes (at additional cost). These truly are bespoke tallboys! The Pitagora collection includes the tallboy chest, two different widths of 4 drawer chests of drawers and two widths of 2 drawer bedside cabinets. We deliver throughout the UK including to London, Edinburgh, Manchester, Birmingham, Liverpool, Newcastle, Cardiff, Glasgow, Aberdeen, Kent, Surrey, Sussex, Suffolk, Hertfordshire, Bedfordshire, Buckinghamshire, Oxfordshire, Cambridgeshire, Lincolnshire, Wiltshire, Hampshire, Dorset, Devon and the South West, Cheshire, the Midlands, East Anglia and the North West. We can also ship to Europe.